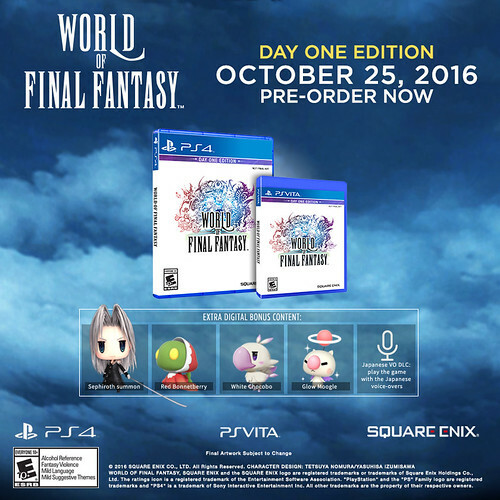 the Day 1 Edition of World of Final Fantasy! 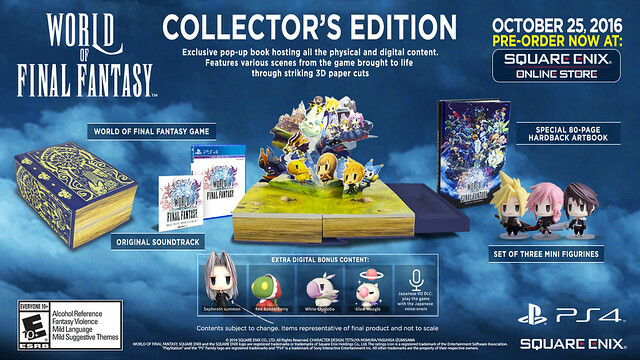 The Day 1 Edition comes with the full game and all of the extra digital bonus content (the Sephiroth summon, Red Bonnetberry, White Chocobo, and Glow Moogle mirages and the Japanese voice-over DLC). The Day 1 Edition will be available on both PS4 and PS Vita so whatever format you choose, you’ll be able to get all of the digital bonus goodies! To house all of the physical and digital content in the Collector’s Edition, we’ve created a very special pop-up book featuring various scenes from World of Final Fantasy brought to life through striking 3D paper cuts — just like a story pop-up book! Since all of the content in the Collector’s Edition fits inside of this pop-up book, it’s also pretty big! World of Final Fantasy is an adorable game and has a unique style when compared to the rest of the Final Fantasy franchise. This 80-page hardback artbook shows off the stunning World of Final Fantasy creative direction and I’m sure it’ll put a smile on anyone who reads it. In World of Final Fantasy, you can summon legendary, legacy characters from the Final Fantasy franchise — so in the Collector’s Edition we wanted to include some of our favorites. You’ll get mini figurines of Cloud (Final Fantasy VII), Lightning (Final Fantasy XIII), and Squall (Final Fantasy VIII) in their adorable chibi form. Each figure is approximately 4-5cm tall. A 20 track soundtrack selection CD featuring enchanting music from the game. Sephiroth (Final Fantasy VII) — A special summon that will aid you in battle! Red Bonnetberry, White Chocobo, and Glow Moogle — These are special versions of mirages (monsters) you can recruit to join you on your quest and aid you in battle. If you’re a Final Fantasy fan, I’m sure you can recognize which mirages these are based on! Japanese voice-over DLC — This allows you to play the whole game with the Japanese voice overs. 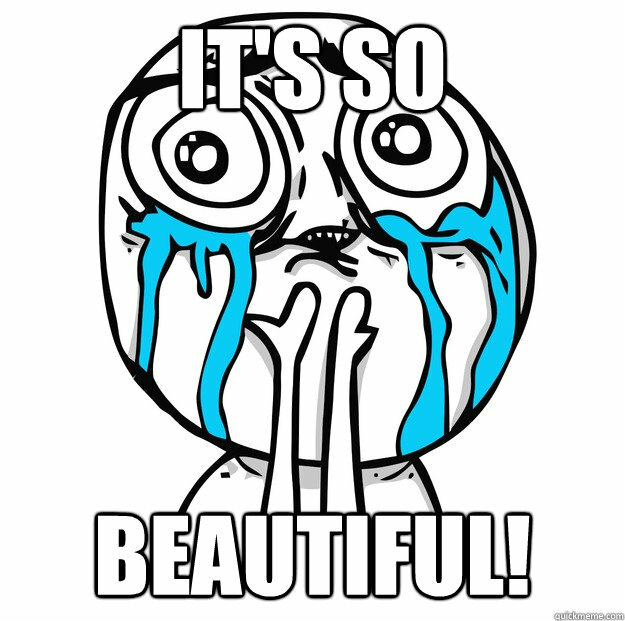 ...ok nako day 1 edition!!! Sana magkaroon din ng pre-order dito ng Limited Editon. ...ayos vita version ako, parang konti lang difference. ako ps4....baka mag digital ako..pre order...sayang TEXT SPEAK VIOLATION themes....tska TEXT SPEAK VIOLATION day one freebies..
30 Minutes of World of Final Fantasy Gameplay -Mirage Hunting, Combat and Exploring Dungeons..
Oo nga, gusto ko sana kumuha pero pag kumuha ako eh baka di ko mabayaran yung pre-order ko ng FFXV with game guide. Sayang din yung Sephiroth summon sa pre-order, pero baka december or January pa ako makakabili nito. Sa US PSN lang ba available yung demo? Sana meron rin sa HK PSN. ...di ako makapag decide kung ps4 or psvita bibilin ko. Baka kasi maigsi lang tong game kung ps4 version eh.